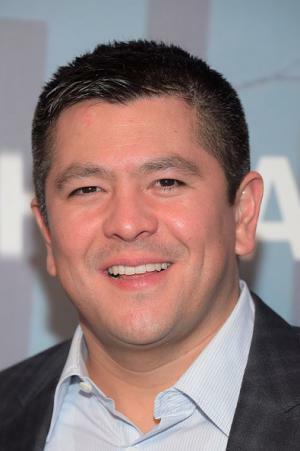 Carl Quintanilla was born on 10 September 1970, in Midland, Michigan USA, and is a journalist, best known for his work on CNBC. He is the anchor of the morning programs, “Squawk Alley” and “Squawk on the Street”. He was also the previous anchor of “Squawk Box”, and all of his endeavors have helped put his net worth to where it is today. How rich is Carl Quintanilla? As of late-2016, sources inform us of a net worth that is at $2.5 million, mostly earned through a successful career in journalism. He reportedly earns $500,000 per year in salary as the anchor of CNBC’s morning programs. He was previously a correspondent for NBC News, and as he continues his career it is expected that his wealth will increase. Carl attended the University of Colorado at Boulder and graduated in 1993 with a degree in political science. During his time there he would intern at Westword Magazine in Denver and was also a columnist for the Boulder Daily Camera. He then worked as an editorial assistant for National Public Radio in Washington D.C. In 1994, Carl became part of The Wall Street Journal, and would write for the newspaper covering a variety of topics, which included economic issues, airlines, and manufacturing. He also wrote on workplace issues in a weekly column of the Journal, handling all of these tasks for the next five years; during this time he would start to build his net worth significantly. In 1999, he would become a correspondent for “Business Center” and several other CNBC programs. He also worked as a special correspondent for the Fox News Channel program “Fox X-Press”, and then served as the co-anchor for the CNBC morning program “Wake Up Call” before joining NBC. Among important events, in 2006, Quintanilla covered the Israel-Lebanon conflict, and a year later worked on “Big Mac: Inside the McDonald’s Empire”., for a CNBC documentary. Four years later he would become the anchor of “NBC Nightly News”, though mainly covering for Lester Holt and Brian Williams when they were away. He was also a substitute co-host on the “Today Show” during weekends. Thanks to these opportunities, his net worth continued to elevate. Around this time he was already working as part of “Squawk Box”, but would leave the show to join the “Squawk on the Street” team. In 2014, he then worked as a correspondent on HBO Real Sports, and one of his latest works was during the Republican presidential candidate’s third debate, for which he was the moderator. His work was criticized by some for allegedly being rude to the candidates, and unprepared for the event. Regardless, Carl has won several awards over the course of his career, mainly for his coverage of Hurricane Katrina in 2005. For that, he won a Peabody Award, Edward R. Murrow Award, and an Emmy Award. However, Quintanilla drew the ire of many media commentators and satirical TV host Jon Stewart during 2008, for allegedly not asking tougher questions in his interview with Allen Stanford. This came at the time of the 2008 global financial crisis, when Stanford and his company would be revealed as a part of a large Ponzi scheme which subsequently brought him a 110-year prison sentence. For his personal life, it is known that Carl has been married to Judy Chung since 2005. 1 Co-anchor of CNBC's _"Squawk on the Street" (2005) [July 2011]. 2 Won an Emmy and a Peabody for coverage of Hurricane Katrina. 3 Became a correspondent for CNBC in 1999, NBC News correspondent in 2002 and appeared on Today (1952) and NBC Nightly News with Lester Holt (1970). 4 Wrote on airlines and manufacturing for the Wall Street Journal from 1994-1999 in the WSJ Chicago bureau. 5 Reporter and columnist for the Boulder Daily Camera, 1991-1993. 6 His wife, Judy Chung, is a former CNBC/MSNBC producer. 7 Co-anchor of CNBC's Squawk Box (1995). Previously, he was a NBC News correspondent based in New York and Chicago. 8 Attended the University of Colorado-Boulder and received a Bachelor of Arts in Political Science in 1993. 9 He and his wife, Judy Chung, became the parents of twin girls, Ava Jane and Lily Anna, on June 17, 2009.